Is done! I bought the Fat Quarterly issue 5 just for this pattern — it’s a wonderful design, and I wanted to make it for my niece as soon as I saw it. Unfortunately, I found the pattern not so much fun to follow. I think the instructions for cutting and piecing the shutters between the arches could have been clearer, and it would have been so much better if there had been pictures for the arch instructions. 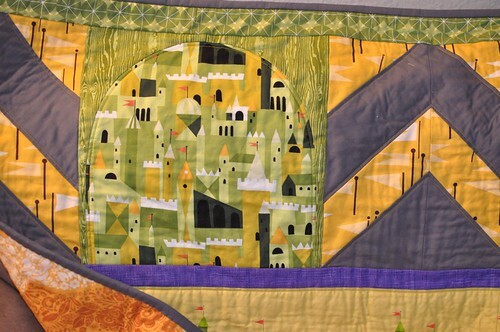 I’m not sure, but I think the cutting directions for the arches were wasteful; at that point, I was frustrated and did my own thing. Also, why tell me to trim my arch blocks to 12 1/4″ high, but my shutter blocks to 11″ high? 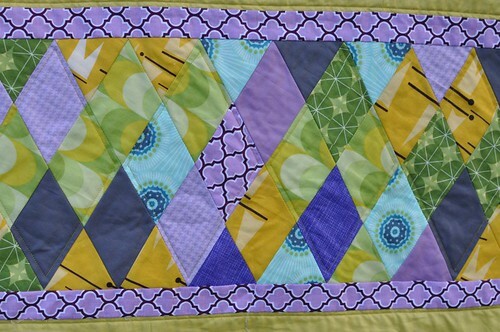 Anyway, on to happier topics… I was happy that the diamonds’ points mostly matched up and that my quilt actually ended at around the target dimensions! I attribute that to my brand new 1/4″ foot, which I now love very much. 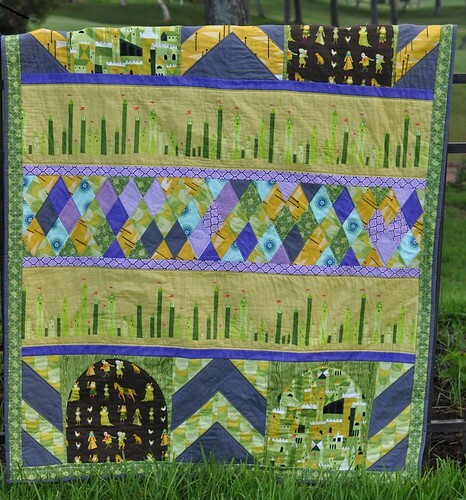 I used Anna Maria Horner’s Folksy Flannel Village Path for the backing. I remember once reading another blogger describing this flannel (I think) as being as soft as butter, and at the time, I thought, pfft, hyperbole. But it’s true — it’s super duper soft! 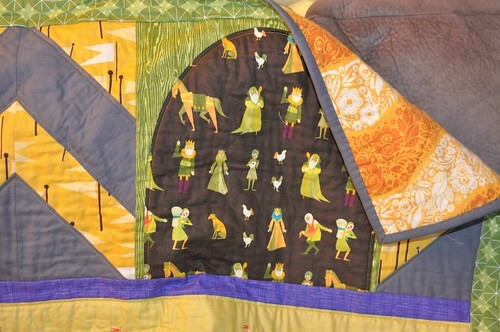 The quilt is 44″ x 55″, which hopefully will be long enough for my niece. 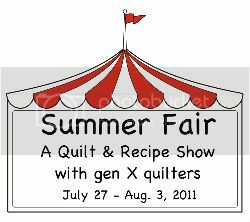 I’m glad that I was able to finish it in time to link up to Gen X Quilters’ Summer Fair! 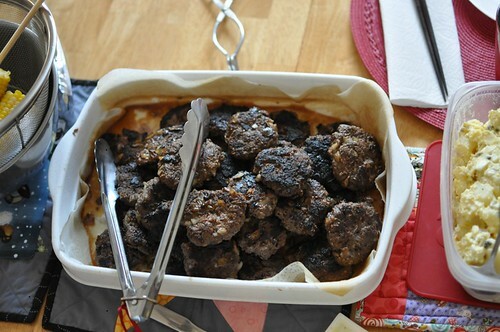 I also want to include a recipe for the summer fair: Korean Barbecued hamburgers! 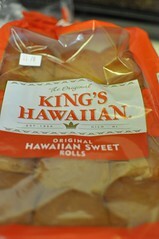 They’re super easy to make and taste fantastic with sweet bread rolls (I like tiny hamburgers), mayo, and mustard. 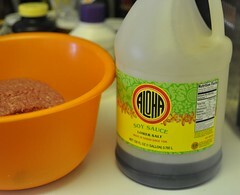 The recipe is from the cookbook A Taste of Aloha, which I picked up used at the library’s bookmobile. Start toasting the sesame seeds (the flavor is much better if you toast them yourself), then cut the onions. Sometime while you’re cutting onions, turn off the sesame seeds so that they don’t burn your fingers when you’re ready to mix everything together. Combine everything and refrigerate for an hour or more. Shape into patties. Grill. Yummy! This looks like a grilling option for this weeks menu. Thanks for sharing! These look tasty. I am going to have to add them to my recipe file. Wow! What a great idea to spray baste out on the sidewalk!